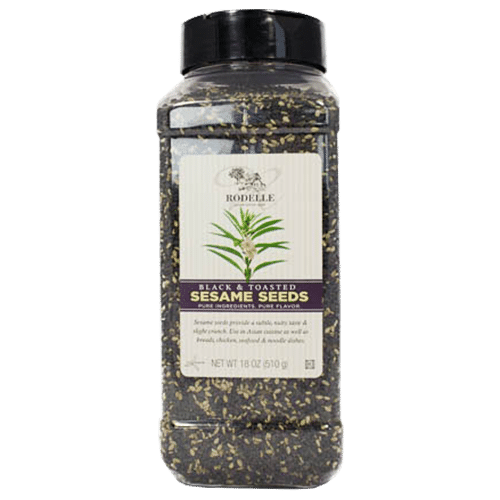 Rodelle Black and Toasted Sesame Seeds provide great visual contrast and a unique flair while adding lightly roasted subtle, nutty taste and slight crunch to any recipe. They are a very versatile ingredient that adds taste and texture to all of your recipes. Available in 18oz (510 g) bottles. Gluten Free and Kosher Certified.